Murano Glass Cube with transprent colors over 24kt gold foil. Size is about 14mm by 14mm cubed with a 1mm hole which runs through the center of the bead. Authentic Murano Glass. Animal Print in the leopard pattern with small dots of color under the top layer of transparent glass. 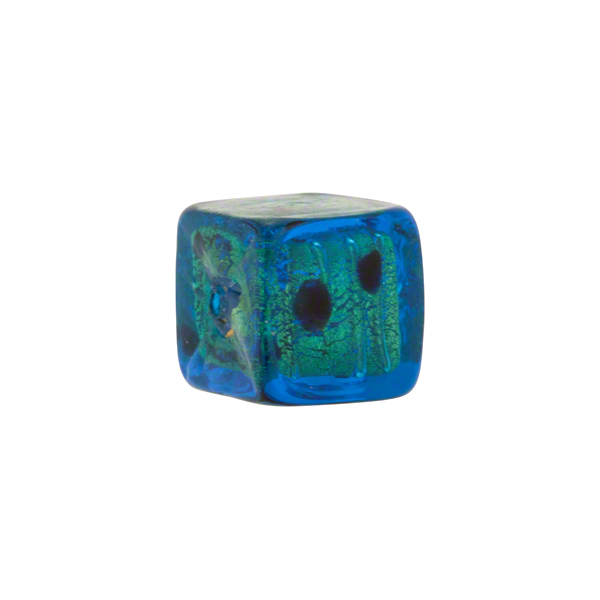 The color on this one is a base of Aqua Murano Glass wrapped in 24kt gold foil and dots of Black then completely encased in clear Murano Glass.